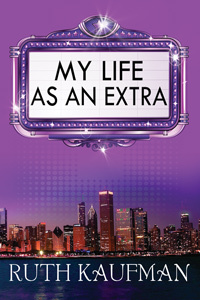 I’m excited about the upcoming release of my first contemporary, My Life as an Extra, a humorous women’s fiction novel in which Chicagoan Marla Goldberg learns to feel special despite a divorce, working as a movie extra, dipping her toes into the discouraging dating pool, being unappreciated in her day job and dealing with her successful siblings. I had a wonderful time writing this and the sequel, My Life as a Star, and Marla made LOL many times. But preparing to release these books presented several challenges that my other books didn’t. Not a romance: Amazon, reviewers, and advertising/promotion sites ask authors to classify their books, often literally by checking a box. MLE is not a romance, but could be mainstream with romantic elements or humorous women’s fiction, or, by some definitions, chick lit. It’s a challenge finding as many places that accept a slightly outside of the box category. Wanting to use many real celebrities, films and pop culture references: I’ve worked as an extra in more than 70 movies and TV shows filmed in Chicago, so my path has crossed those of many A-list, household-name celebrities. Consulting with attorneys and researching our litigious society, even when the author is legally within his/her rights and ultimately prevails, made me leery. Making cuts was painful. Not only that, I didn’t want to date the book with many actual movie titles. I also wanted to use a few song lyrics, but cut those because of the time and effort to track down and ask for permission from multiple rights holders, which may not be granted. To me, the downside of creating new films and changing stories means less instant recognition for readers and more of a challenge for me to convey the mood, tone, or whatever Marla wants to get across. I’m awaiting my first reviews with bated breath…..
Book publicity: how much & what works? I believe that, unless sales are through the roof, authors can’t do enough to get the word out about their books. But what works for one author might not work for another, and we must balance time spent with cost, and still make time to write and release new product. 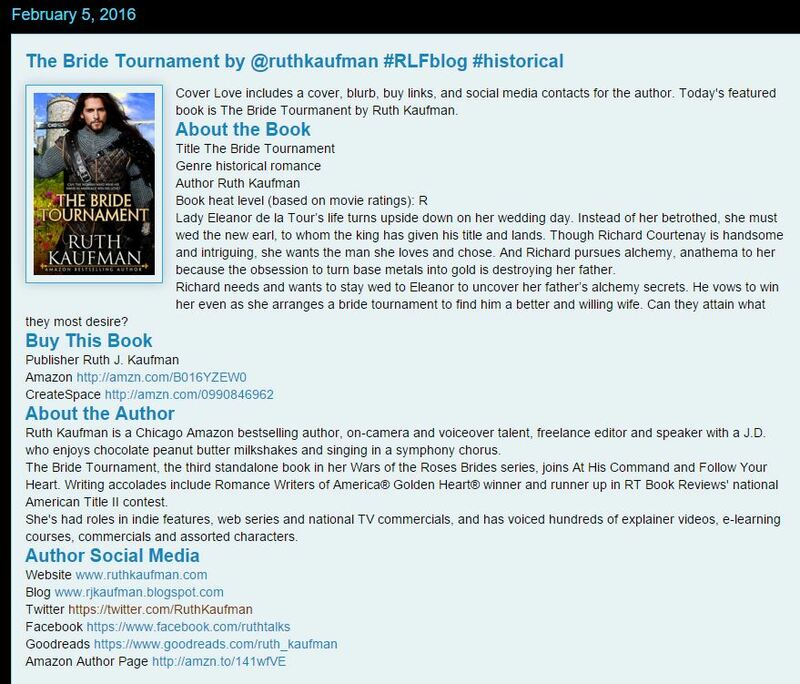 A post about TBT on Romance Lives Forever was tweeted and retweeted for several days. I stopped counting when the total reach passed 630,000! And coming March 2: my first BookBub, such a popular and selective discount and free book daily email that I’ve been refused multiple times (as have many other authors I know). It costs hundreds of dollars, depending on your genre and countries you wish to include, but word on the street is that the thousands of downloads make it worth the price. This and other promotion will be in conjunction with making AT HIS COMMAND free for 5 days. How many downloads will I get? Will sales of my other books increase? Stay tuned! In the online writing groups I follow, one issue is brought up again and again: how hard it is for new self-published authors to sell any books at all, much less gain some traction. 1) The competition. As of this writing, 11,667 new romance Kindle books released in the last 30 days, or around 400 per day. There are 326,894 romance ebooks to choose from. What’s a newer author to do to compete in fields with so many flowers? 2) Free reads! Some readers will return a .99 boxed set. Though just a few years ago we willingly went to a bookstore and paid $6.99 or more for a paperback, these days there are so many permafree and temporarily free books that paying even .99, much less $2.99, Amazon’s recommended sweet spot for my historical romances, can seem like a lit. Kindle Unlimited, which is $10/month, and Kindle Owners Lending Library are other options readers are choosing to lower their reading costs. 3) The rapid rise in book discount newsletters. I get at least 5 newsletters every day offering discounted, .99 or free books. I don’t have to search online but merely open and glance at the books available that day. With a click or two, that free book is mine. Even if I never read it. I couldn’t keep up with all of the free books I could get every day if I tried. These newsletters can be costly, so if you’re not selling, it can be hard to justify buying more ads. 4) What I call volume authors. There are some authors who are so prolific and successful that they can dominate the new releases or bestseller lists, making it harder for newbies to rise to the top. In one of my categories, 4 of the Top 10 bestsellers are by one author and 3 are by another. In some areas on Amazon, only the top three show up as recommendations, which I’m sure helps those books sell even more. These volume authors already have a huge following and promotional machine in place, which most new authors don’t. 5) The three bears syndrome. Novellas (usually under 40,000 words), shorter books and boxed sets (usually three or more books for .99) tend to dominate some bestseller lists, so that the standard full-length novel (300-400 pages) is no longer just right. 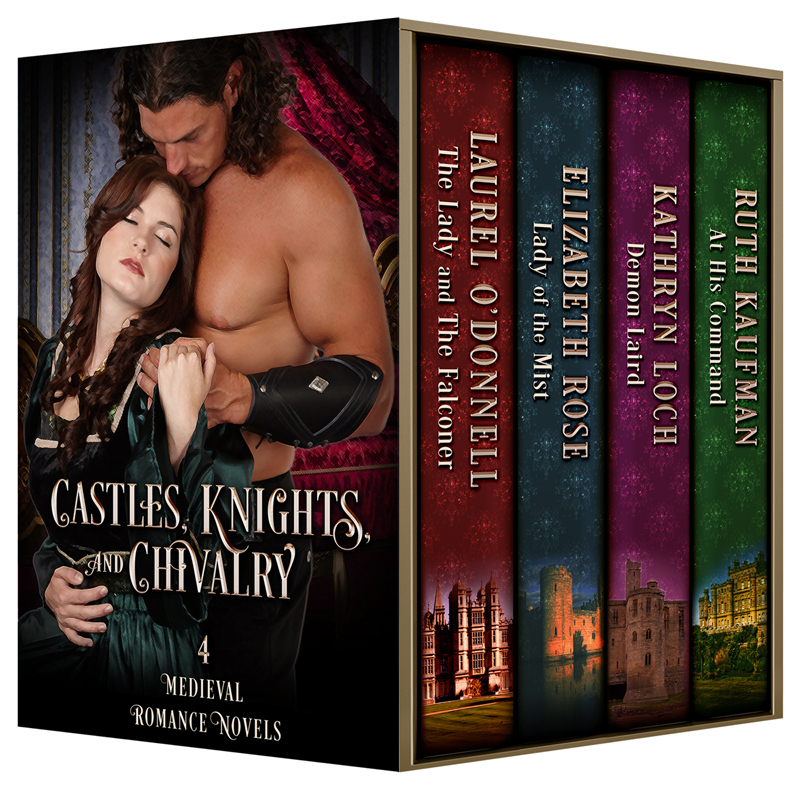 Right now five boxed sets are in Top 10 medievals (I happen to have a book in the #2 box). In the Regency Top 10 are two boxed sets and four books under 300 pages (and that includes front/back matter and any excerpts) and one with 94 pages. 6) Reviews. Many newer authors may not be able to get reviews, so they can’t take out ads on sites that require a certain Amazon rating or number of reviews. Reviews can also be used on websites, in promotion, etc., but not if you don’t have any. a) one book is rarely enough. Some even advise waiting until you have four or five so you can set up a release schedule. b) one release a year isn’t enough…to help get your name out there and keep the Amazon algorithms working in your favor. I’d planned to release four of my own books this year, but was invited to be in two boxed sets. So I had a new release every three months…and some say that’s too long. 8) The book itself and/or the book’s presentation. I checked the Amazon page of one author who commented about not selling. The blurb was full of errors. Did you hire a qualified editor, and then perhaps have that editor or another one read it after you made suggested changes? Did you also use a proofreader? How does your cover stack up against books that are selling well? A newbie author should still have a bestseller-like cover. Is your subject matter in favor? Trends come and go. There’s the dichotomy of writing the books of your heart and writing something readers want. You should learn the market to know where your story fits. My fourth book might combine too many genres…time will tell. 9) Your platform. What have you done/are you doing to build your newsletter list (this is one thing I need to do better) and social media presence? Do you interact on Goodreads? Do you have a newbie website or one that looks professional? 10) Where is your book available? Is your book in the right Amazon categories? Are you “going wide,” meaning you’re available on many sites, or just on Amazon and perhaps going Select? I hear that more authors are going wide because of changes Amazon has made, but I sold far fewer books on B&N and iBooks, so I’m sticking with that. What can you do to improve your ability to sell? What is a “published author?” I am. Finally. Not that many years ago, “published” was easy to define. You went to a bookstore, saw all of the full shelves, and knew those books were published. You might have even looked at the spine or copyright page, and recognized the publishing house. You knew that someone, perhaps several or many someones, had loved, approved of and paid for the rights to make that manuscript a book. Now, anyone can write and make a book available to the world, basically for free via Amazon if they don’t hire an editor(s) or cover designer. That project could be considered published, without any vetting whatsoever. It may be great, or, it may perpetuate the view that self-published books aren’t as good as those that are traditionally published. I’ve pursued traditional publishing since 1995. Despite many close calls and more than a dozen revision letters on various projects, never got “the call” that an editor wanted to buy my book(s). So after a lot of hemming and hawing, as you may know I finally self-published in 2015. I’ve released two books so far, with a third and fourth on the way. Both books have been reviewed by Publishers Weekly and have earned assorted praise and 5 star reviews. My first is in an Amazon bestselling boxed set. I didn’t feel published, however, until yesterday, when my PAN membership was approved by RWA. I’ve wanted to join PAN for 20 years. What does that mean? Read on. Romance Writers of America, with more than 10,000 members, has a Published Authors Network, or PAN. The membership requirement effective 9/1/15 states, “Any RWA General or Honorary member in good standing who has earned at least $1,000 on a single published Eligible Novel* or Eligible Novella** shall be eligible for membership in PAN, provided however that works offered through Predatory Publishing companies shall not qualify.” You must provide proof of earnings. I believe sales and earnings are part of the definition of published. For me, it’s not enough to just see my book online or hold one in my hand. So $1,000 on a single book with no requirements to keep publishing and earning isn’t that high. Others may disagree. Note that self-published authors are held to a much higher standard. Hmm. What do you think “published” means? 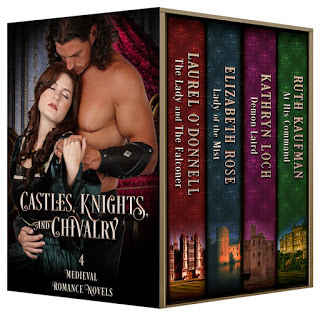 Several months ago, the prolific Laurel O’Donnell reached out via e-mail to invite me to join in a boxed set with her and two others, Elizabeth Rose and Kathryn Loch. The offer was quite flattering…they’ve all released many more books than I have (so far), and are bestsellers. I’m not…yet? Also, Laurel’s The Angel and the Prince is on my keeper shelf, so I was honored that she wanted one of my books sold with hers. The process of putting the set together was easier than I’d expected. Fortunately her talented husband did all of the formatting, so the only expense was the set’s cover. We needed to decide on the title, pricing and release date. And how much promotion we were willing to pay for. After tossing around some ideas, we agreed on Castles, Knights and Chivalry. I struggled a bit with pricing. Many, many boxed sets are priced at .99 these days, and usually range from three to 10 full-length books. Amazon gives 35% royalties for .99 books, or approximately .09 per author per sale. Recently I saw a set with 11 books…for free! I see both sides of the issue. On the one hand, it’s easier for readers to give unfamiliar or newer authors a chance if they’re part of a low priced boxed set. Then, perhaps, they’ll go on to buy the author’s other books. On the other, what’s happening to the value of books? My contribution, At His Command, currently sells at $2.99, and has only been available since January. Would joining the box cannibalize individual book sales? The other three books have been available longer. Do e-books have limited shelf lives (pun intended) at a regular price (already significantly lower than their print counterparts) nowadays because so many new releases? 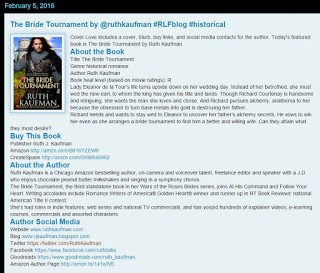 As of this writing, Amazon show over 10,000 new romance releases…in the past 30 days, including just over 800 historical romances. We’ll be doing a small amount of promotion in addition to Facebook and Twitter. How will the set do? Many have become bestsellers, so there’s that dream….Stay tuned! Yes, I really want to finish revisions on book #3 so I can release it. And I want to move on to my next trilogy (or series) and perhaps contemporaries, too. Despite my best intentions, I’ve been getting “must” tasks done, and simply running out of brain space for “really want” tasks. Or should I push myself harder to get more done faster? This has been a feast week as far as acting is concerned (for which I’m grateful, owing to recent weeks of relative famine). I drove to Grand Rapids (3+ hours) and back on Saturday for a role in the indie feature, WIND. I had an on-camera audition Sunday, two at different casting agencies on Monday, plus several VO auditions throughout the week. I don’t do much extra work any more, but I’d heard that a great director was filming another movie here…and I was able to work on that Tuesday. I’m getting coaching for a play audition next week and needed to start learning those lines. Plus I’m taking a class and have two scripts to prepare..and a casting director will be attending our “audition.” And I got the proofs of my new headshots, some of which needed to be disseminated to my agents and casting sites. Meanwhile, I needed to spend a bit of time promoting my current books, because Follow Your Heart received a great Publishers Weekly review, and Castles, Knights & Chivalry, the boxed set At His Command is in, is doing well on the Hot New Releases lists. And I’ve received several projects from a new freelance writing client, and must meet those deadlines. All of this elucidates a key difference between an indie and a traditionally published author. If I had a contract and an editor (and agent, perhaps) expecting my next book, I’d have to find a way to fit in more fiction writing, no matter how tired I was, how much other work I had to do or how much I wanted to take a night off for a social event. On the one hand, there’s no external pressure to produce. On the other, it’s all on me to make new books a priority. Maybe I should go on a writer’s retreat! What will you pay for books? As an author, I’m always trying to grow my readership, and hope new readers of one book will buy the other and look forward to my next release. But as a newer author currently writing in perhaps not the most popular sub-genre, medievals, getting my books out there can be time consuming and costly. What do you think the average self-published author earns a year (across all genres, not just romance)? Digital Book World says the median is $500-999 per year. Other sites, such as The Write Life, take a rosier view…but you have to pay attention to the source of the statistics and which books are included…in this case, 200,000 best-sellers. I’m very fortunate to have exceeded $999 since my first book released January 14, 2015 (my second released April 14). However, despite my love of writing, I’m debating whether the time and effort are worth the rewards. Given the expenses of self-publishing (such as great editor(s), competitive cover(s), and any promotion or marketing), even earning back what you spent can be a challenge. And the sad reality is that many–probably most–authors will never get compensated for the hours they invested in creating each book. 1) The proliferation of online self-published books of all levels of quality plus many authors’ large backlists. 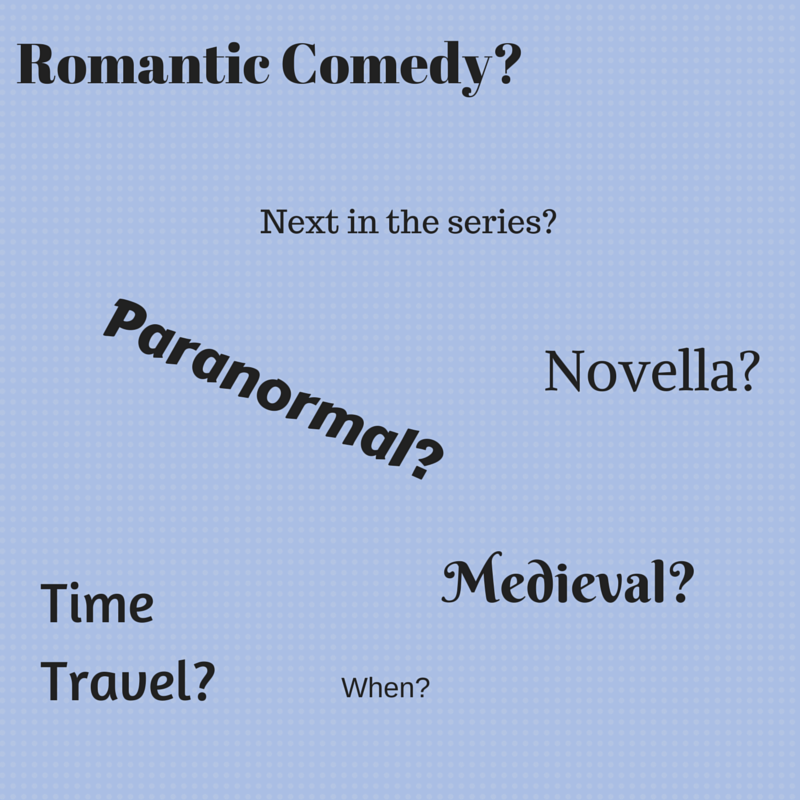 As of this writing, how many romances do you think are available for Kindle? 288,798. And 30,710 of those were released in the last 9 days. 2) The recent market devaluation of the cost of books in general. Remember the days when you had to travel to an actual bookstore and shell out anywhere from $5.99 to $7.99 plus tax for a paperback? Now you can hop online and instantly download e-books…for free, a mere $.99, or from $1.99-4.99. One site, k-lytics.com, reports that in April, 2015, the average price of romance Top 100 best sellers was $2.99. When you upload your book to Kindle Direct Press, Amazon presents a bell curve showing the price at which you have the best chance of selling the most books. Most of us love a good sale and enjoy saving money. But many readers now feel even $2.99 is too much to pay for thousands of words the author labored over. Thanks to the proliferation of bargain and/or free book e-newsletters such as BookBub (the hardest to get your book accepted into, even at a cost of hundreds of dollars depending on your book’s genre), Bargain Booksy, and Choosy Bookworm to name just a few, readers can have access to dozens of free or discounted books every single day. And there’s Kindle Owners’ Lending Library, via Amazon Prime, which allows members to download many books for free. Authors decide whether or not to place their books in the program, and get paid from a global pool of Amazon’s money each month. This is great, because of course authors get nothing for books taken out from traditional libraries. But for authors of novel-length books, the payment is usually less than they’d receive from an actual sale. And Amazon announced changes to the KOLL program starting in July, when payouts will be based on how many pages each KU/KOLL reader reads. Here’s The Authors’ Guild’s take on the changes. There are dozens of posts claiming this will be a good or a bad thing for authors. It’s great to have the opportunity to try a new author or a different sub-genre than you usually read for free or a low cost. But too much free, whether it’s temporary or permafree, IMO, devalues books in general and raises expectations of more free stuff. Will readers go and buy that new author’s next book, or wait for it to go on sale, too? What do you think about book prices? What sells books: social media, ads, blogs, reviews? I’ve done quite a bit of reading about what helps to sells books beyond writing great books.Unfortunately, there’s no one size fits all. No panacea. What works for you as an author, or what inspires you to buy a book as a reader? 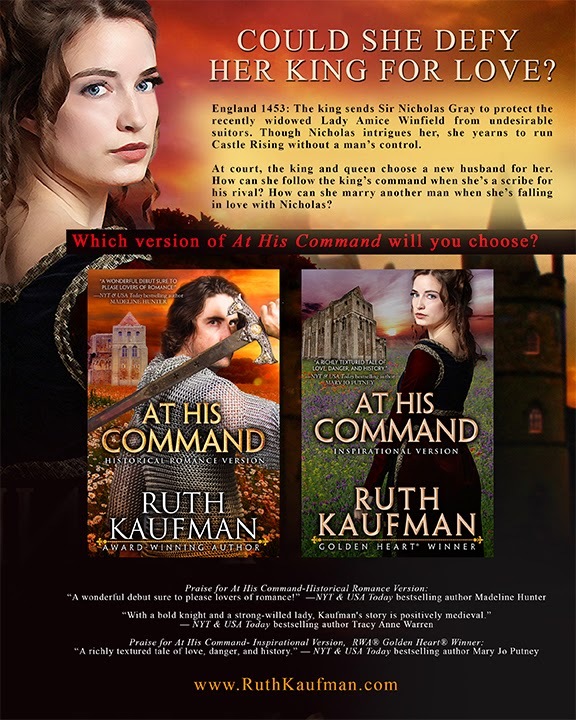 Fortunately, both versions of AT HIS COMMAND have received great 5 star reviews. “If a book lingers in my mind for more than 2 weeks, I say it’s a keeper!” for the Historical Romance Version, and “All the good stuff with none of the bedroom stuff,” for the Inspirational Version. 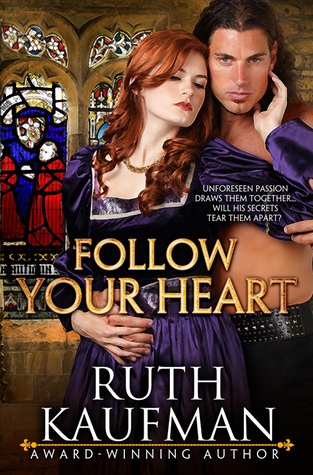 I have a great review opportunity lined up for my April 14 release, FOLLOW YOUR HEART (currently on preorder for only $1.99, if you’re so inclined). Fingers crossed it and the AHC review I’m awaiting from Publishers Weekly will be good! Goodreads giveaways have been great. They seem to take on a life of their own as more people enter to win and add my book(s) to their shelves. I hope some convert to sales. My current giveaway is below, and is garnering more interest than the first one I did for ACH. More interesting blurb? Cover? Same readers who entered for AHC? I tried a few Facebook author page post boosts, which according to FB reached thousands of people (though not always as many as they said before I clicked the buy link). I didn’t get as many new likes to my page as one boost estimated. I did get some clicks/interactions with another, but I can’t tell if those converted to sales. I’m grateful to every friend who has shared my covers and helped get the word out. I still feel a bit lost in the Twittersphere, though I tweet once a day or so and am increasing my number of followers. Giveaway ends April 12, 2015. See the giveaway details at Goodreads. 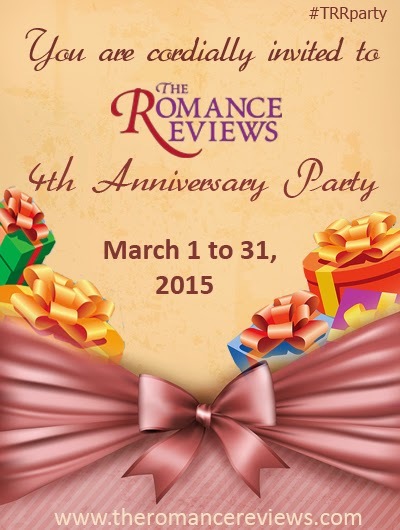 And, I’m participating in The Romance Reviews’ Anniversary Party with FYH. I’ll reserve judgment until the party is over, but there are so many ads I wonder how many visitors will notice mine or answer the question for my giveaway. It’d be great if each ad I ran or post I wrote resulted in a big sales boost. So far, I haven’t seen that. But it takes time to build readership. The concepts of reach and frequency from my media research days still apply for building awareness and interest.